Here is an interesting slide that packs in a lot of data and clearly indicates the severity of the issue we face. 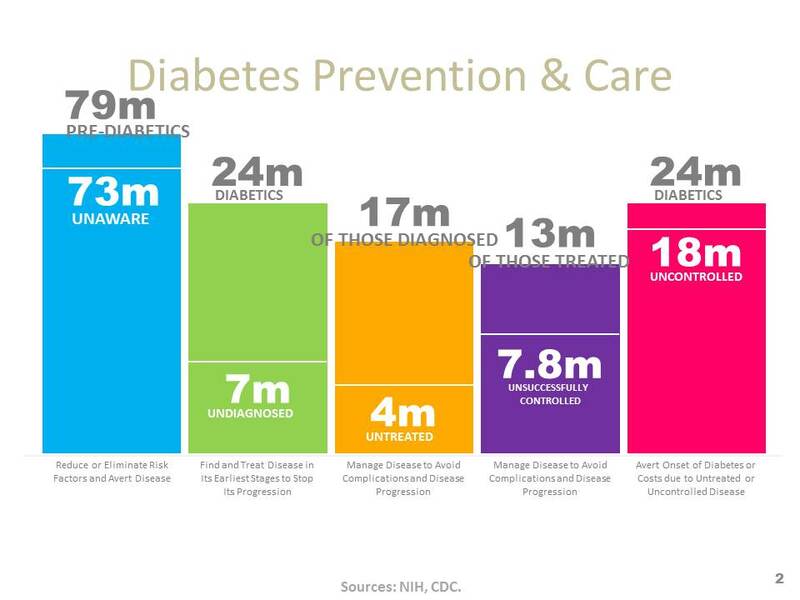 We have a lot of work to do to identify the pre-diabetics in order to prevent them from developing the disease, as well as identifying and better treating those who already have the disease. The potential costs of the status quo from a quality of life, medical claims and workforce productivity standpoint are enormous. This entry was posted in Diabetes and tagged American Diabetes Month, CDC, Diabetes, Diabetes Prevention, Diabetes Treatment, NIH, Pre-diabetes, Pre-Diabetic, Unidentified pre-diabetics. Bookmark the permalink.